Harajuku girl in leopard print jacket, pleated midi skirt, faux fur hat, and black creepers. Beauty school student wearing printed tops and black knee-high boots in Harajuku. Two girls dressed in green and pink streetwear styles while out and about in Harajuku. 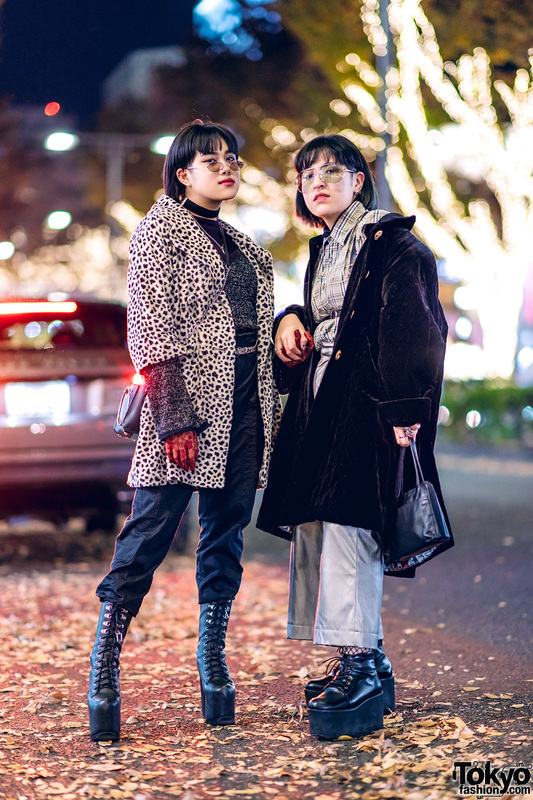 Japanese students wearing colorful winter street styles in Harajuku with items by Kawi Jamele, Oh Pearl, and Kobinai. 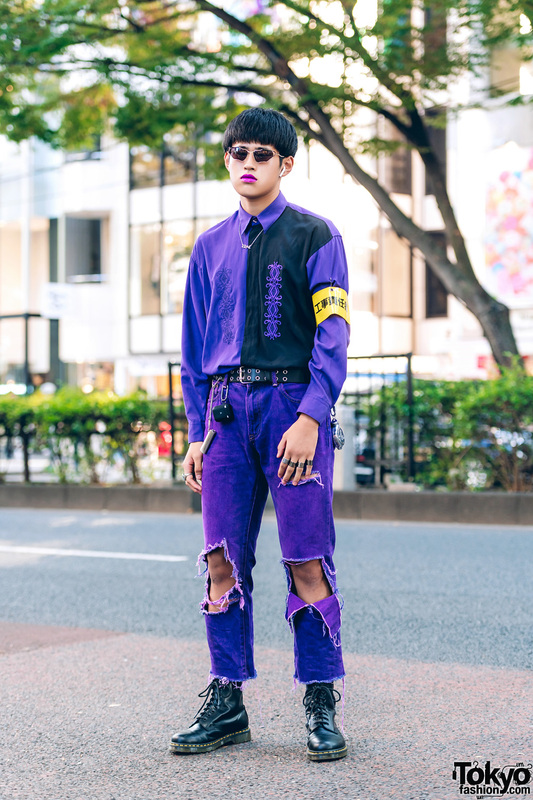 Japanese teen in blunt bob and purple lipstick sporting a purple streetwear style while out on the Harajuku street. 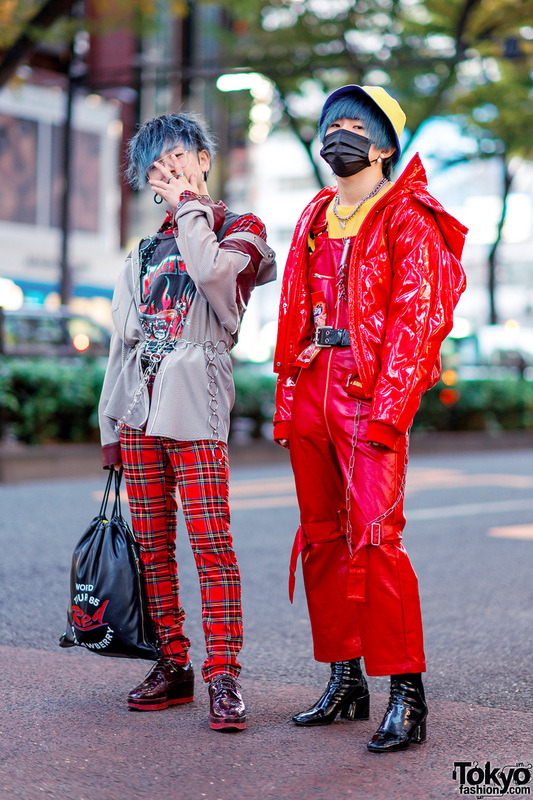 Japanese teens sporting edgy and colorful styles with two-tone hair and rainbow hair falls while out and about on the street. Tokyo students wearing cute pastel streetwear ensembles near Bunka Fashion College in Shinjuku.